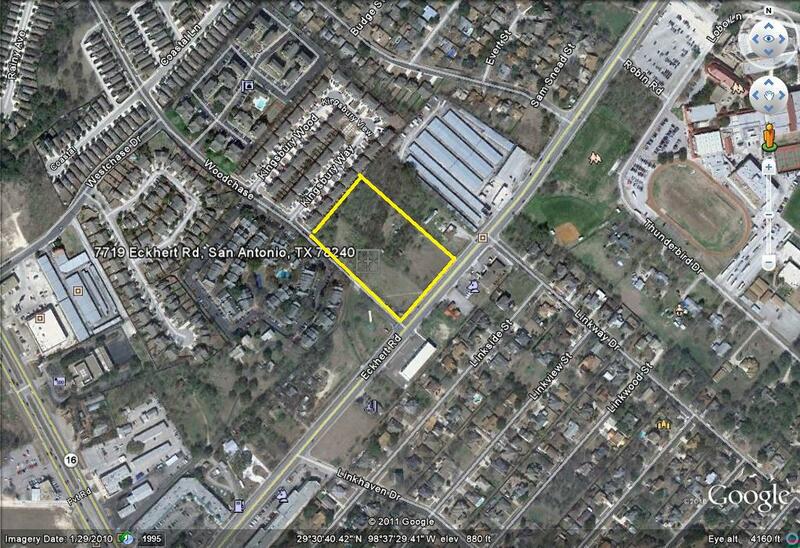 Wholesale Land Oppor﻿﻿﻿﻿﻿tunity in San Antonio - 3 acres wrapping the corner. 5 minutes from South Texas Medical Center. The 1 acre on the hard corner (at traffic light) just sold after rezoning for office/warehouse. High income traffic captured at traffic light. PRICE REDUCED! ABUTTING TRACT JUST REZONED TO C-2. 1 to 3 acres. 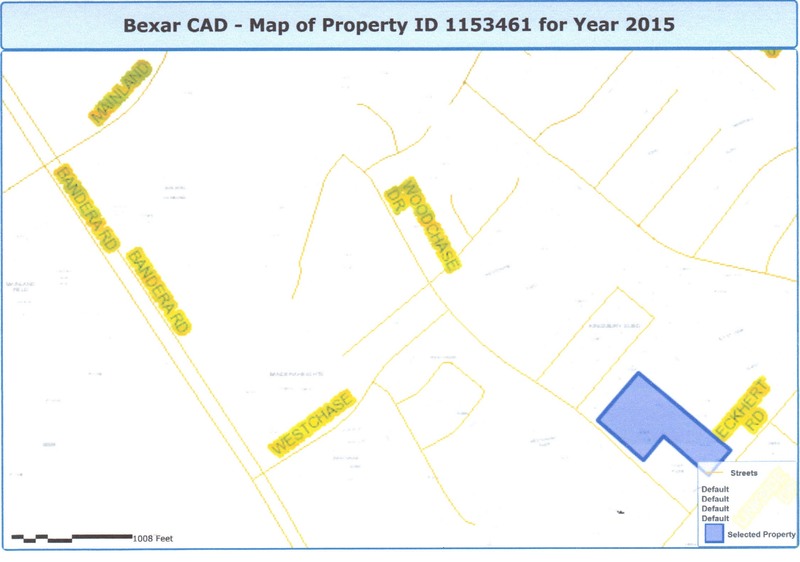 L shaped tract available fronting on Eckhert Road and on Woodchase Drive, wrapping hard corner acre. 25,000 vehicles per day. 3,353 households within 1 mile...median income $58,653...60% over $50,000. Flat site. All utilities available to the site. Seller will cooperate with rezoning if required. On State Highway 1517 (25,000 Average Daily Traffic per day (ADT)) and Woodchase. 3/10 mile from Bandera Rd. (50,000 ADT) connecting to IH410 south and Loop 1604 north. 5 minutes from South Texas Medical Center with approx. 6000 employees (2.5 miles via 1 mile Eckhert Rd. east, then right on Babcock Road, left on Wurzbach to 25 hospitals,etc. Over 500 new upscale apartments within a mile. 50 duplexes built behind this site...all occupied. Office/WH to be built on 1 acre hard corner...just rezoned to C-2. Cardiology of San Antonio relocated 1/2 mile east of site on Eckhert Rd. across from high school. Five minutes from the South Texas Medical Center, 7719 Eckhert Road. From the medical center, take Babcock Road north to Eckhert Road, turn left on Eckhert Road, continue past Huebner Road about a mile to the corner of Eckhert Road and Woodchase. Wraps hard corner 1 acre. Please give us your contact information so we can get in touch with you on this opportunity and others as they ripen.